More than quick, it will take you around 5 minutes to make each filter! _Acetate. You could get A4 sheets from an art shop or even recycle the transparent film of a product`s packaging. 1. 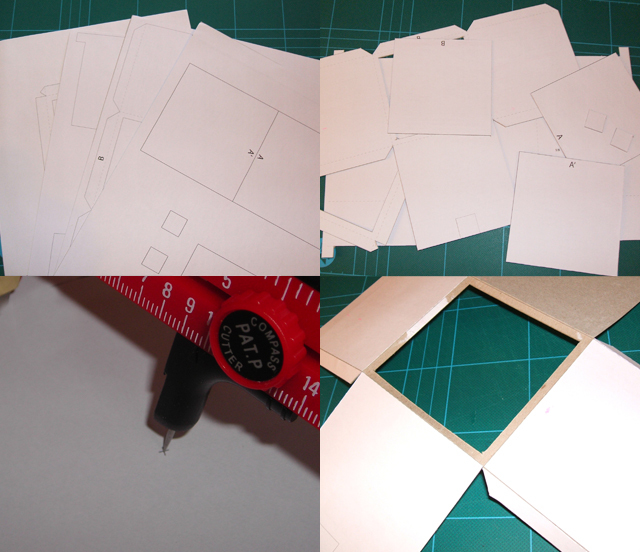 Cut a few acetate squares or rectangles; if you`re using an A4 piece, you could divide it in 4 pieces. 2. 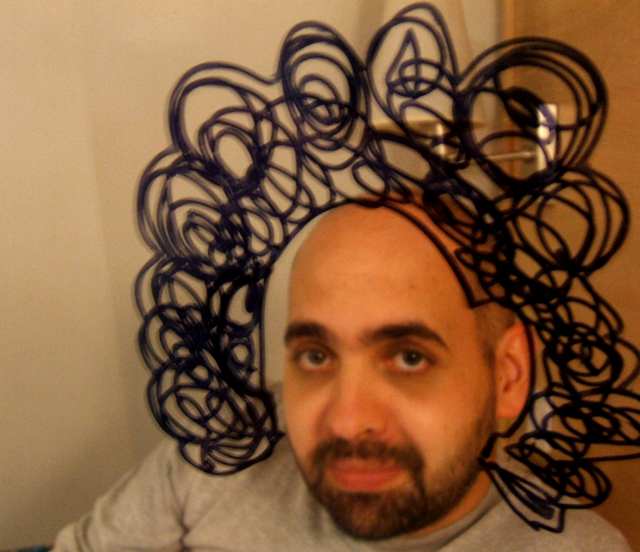 Draw funny things to add to your photos, like wigs, hats, mustaches… get creative. Have lots of photo filter fun! 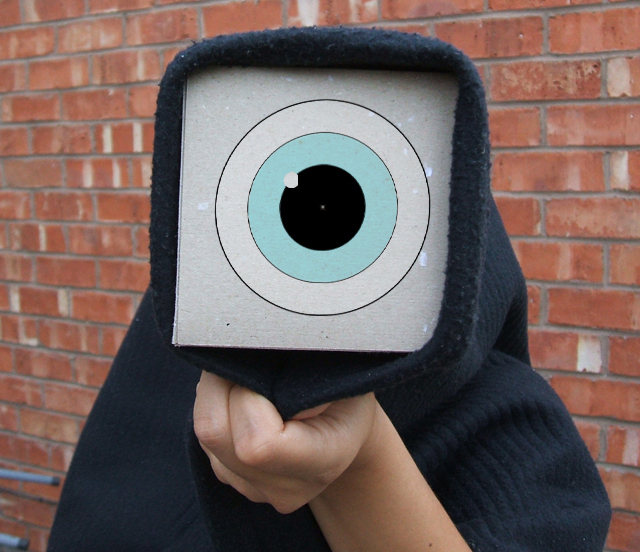 Did you know you can take pictures with a cardboard box with a tiny hole in it? Did you know you can also make pretty accurate drawings using the same device? And that great artists such as Leonardo, used something similar to trace the outlines and minor details of their paintings? It´ll take you about an hour and a half to make and as much time as you like to make your drawings. _Rutter/Exacto knife and a cutting mat or surface to cut on. _Pin, needle or the pointy end of a compass/circle cutter. _Black throw or piece of thick fabric, maybe a T-shirt or a jumper (sweater). _Coloured pencils, crayons or markers. 2. Cut all the pieces over the black lines. Pass the cutter a few times over the red dotted lines without going all the way through. This will allow you to fold all the sides and tabs back. 3. Using a pin, needle or pointy end of a compass/circle cutter, punch a tiny hole where indicated with a tiny purple cross. .
5. Put UHU glue on the tabs and stick everything together. When putting together the piece with the pin hole, make sure you stick the funny shaped bits inside the square sides. (check image below) This will make a kind of rail for the other piece to slide back and forth into this one without going out. 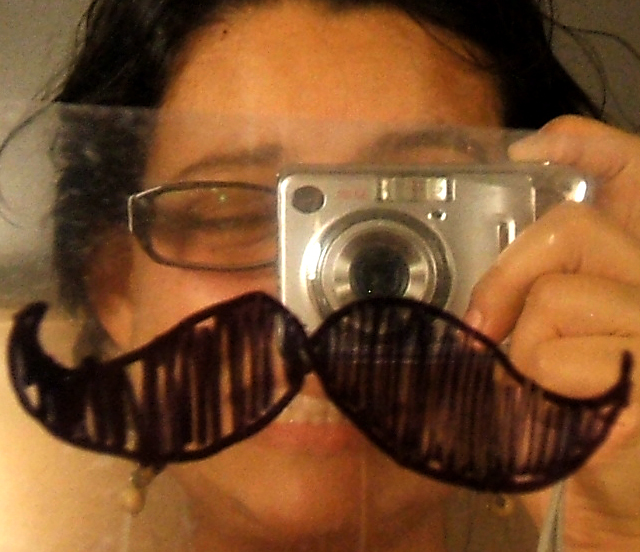 This will make the zoom of your camera obscura. 6. Stick the tiny squares in place. 7. You should now be able to slide the piece with the tiny squares into the one with the rails. Make sure the “frame” in the inner piece is facing out. 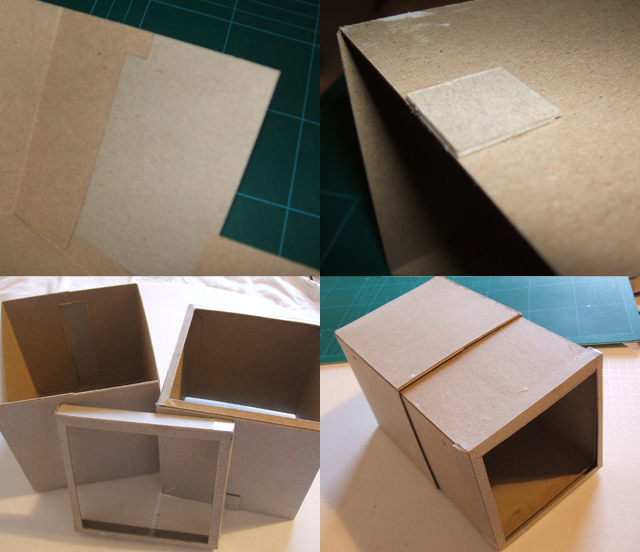 If you feel like it´s too loose, add an extra tiny square on each side. 8. Stick the remaining piece together. It is some sort of cap with a frame on one side. 9. 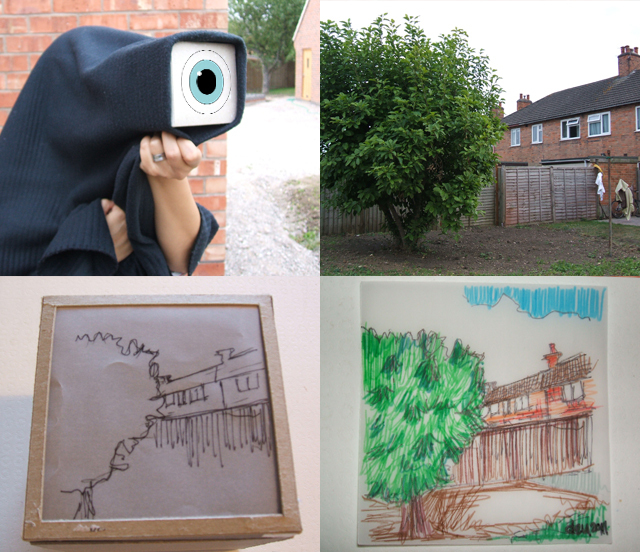 To make your Camera Obscura a bit more fun, make a drawing on the side that has the pin hole. Mine has a huuuge eye…. 10. We need a surface to capture light and be able to draw. Cut a 9.5×9.5 cm square out of tracing paper. 11. 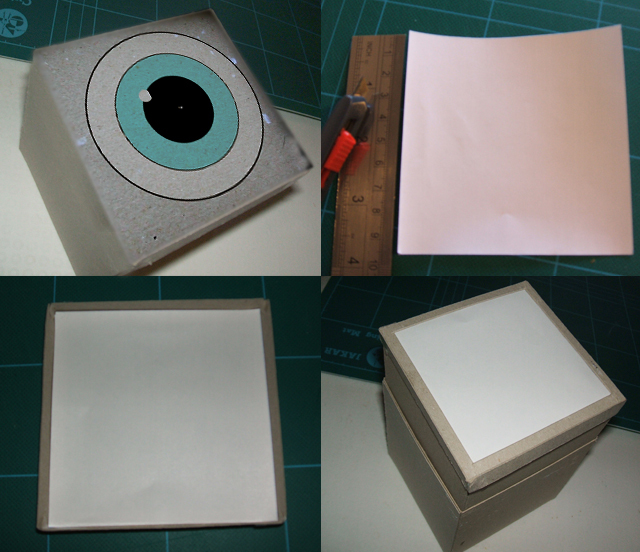 Without using any glue, put the tracing paper square into the “cap” piece. 12. Now put the “cap” with the paper on the camera. Great! 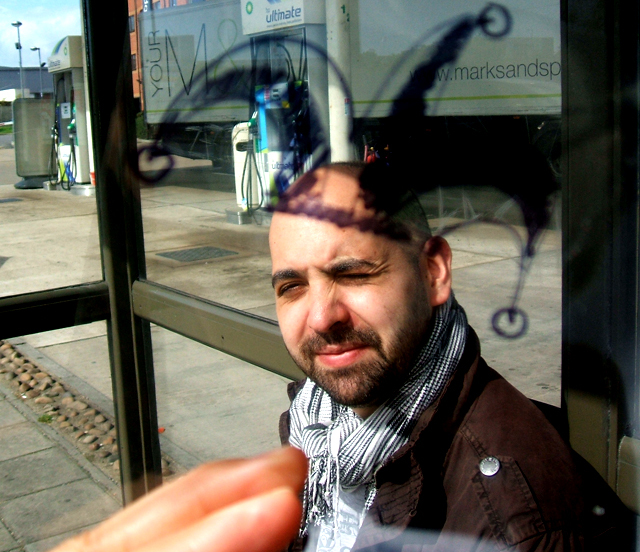 Your camera should work now…Ready to make some drawings? 13. Get the black throw or piece of fabric and your black pen and go outside. (you could do it inside but you have to look out the window, it doesn’t work indoors). 15. Give your eyes a few moments to adjust and TA DA!!! You’ll start to see the image on the paper! Zoom in and out by sliding the inner cube back and forth. 16. Now you can draw on the paper whatever you see. 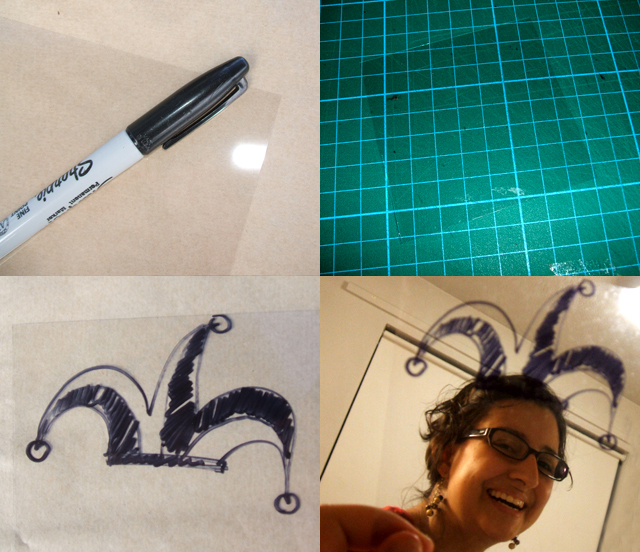 You`ll need to be really coordinated for this: hold the throw and the camera with one hand and draw with the other! 17. When you’re done tracing, get the piece of paper out of the camera, add details and colour and that’s it! Cut more tracing paper squares to make as many drawings as you like. Bet your drawings are looking great (and that you look great while using your camera). Beware great artists… you’ve got competition!